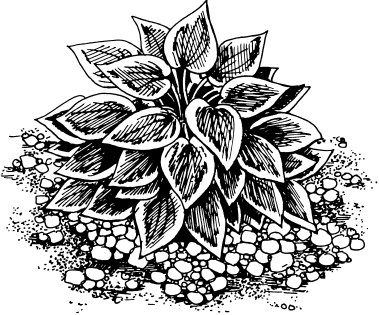 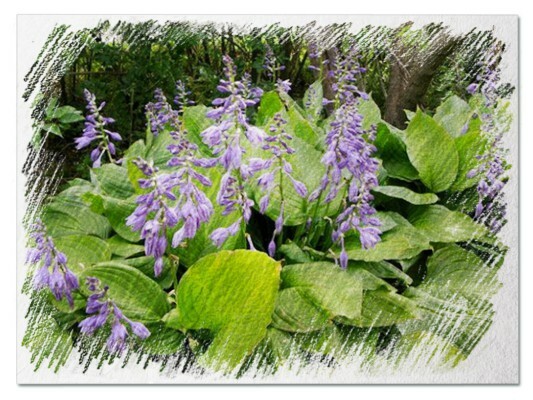 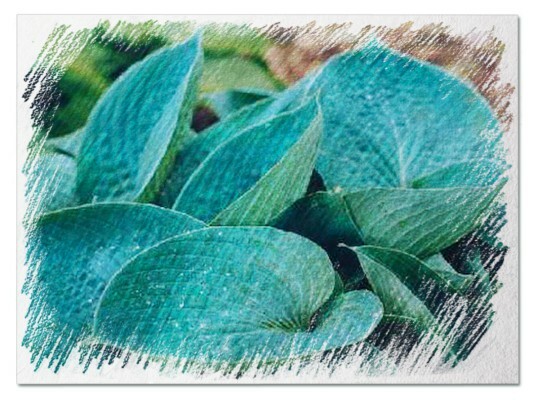 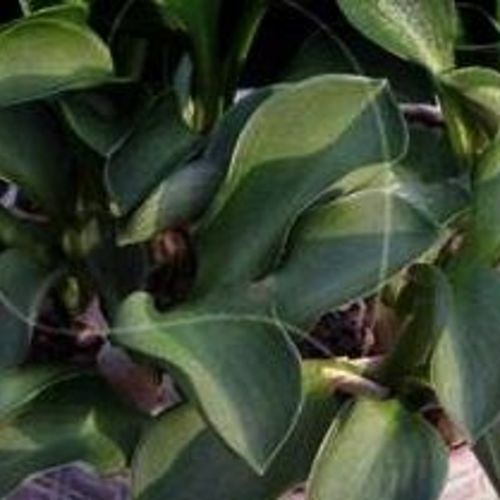 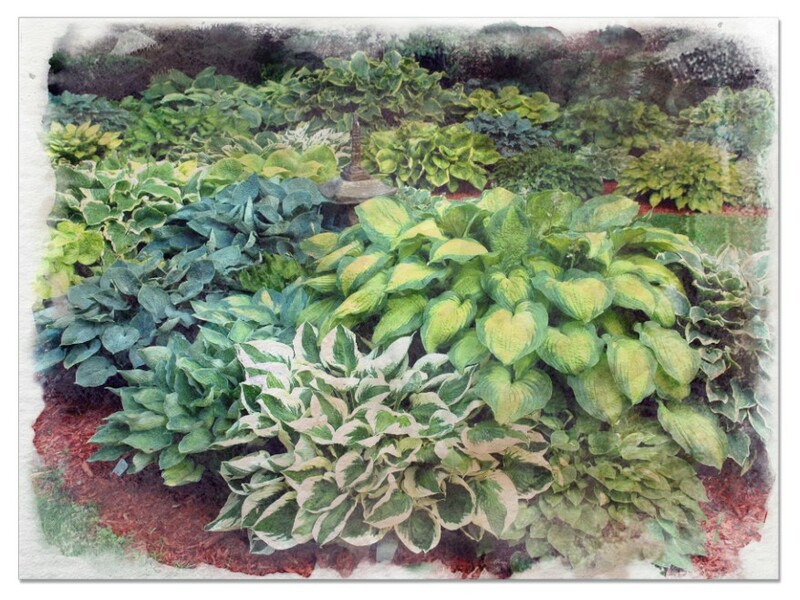 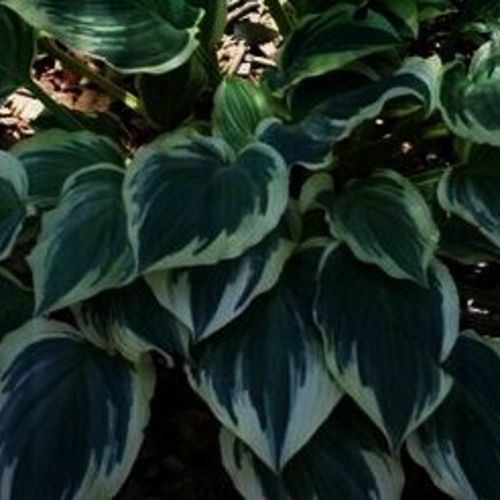 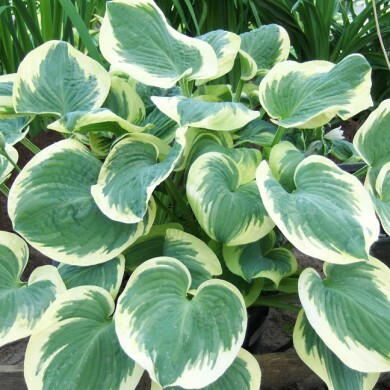 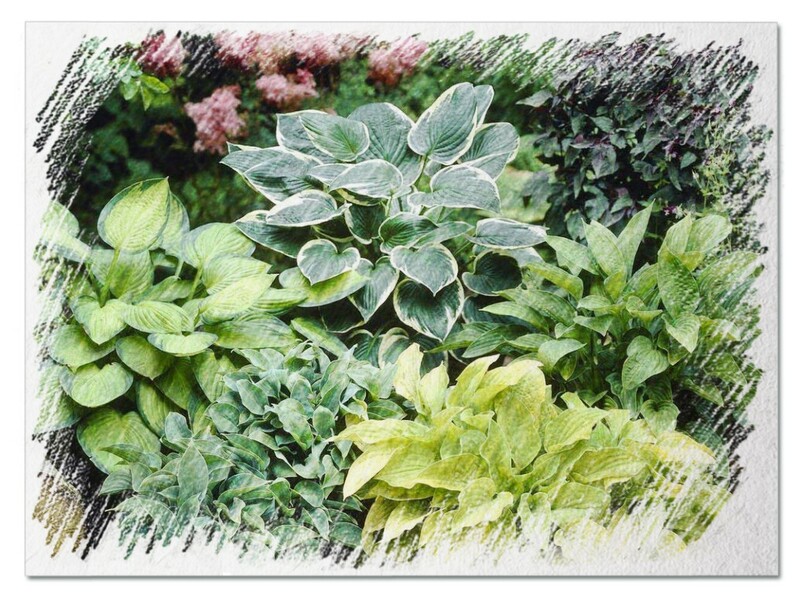 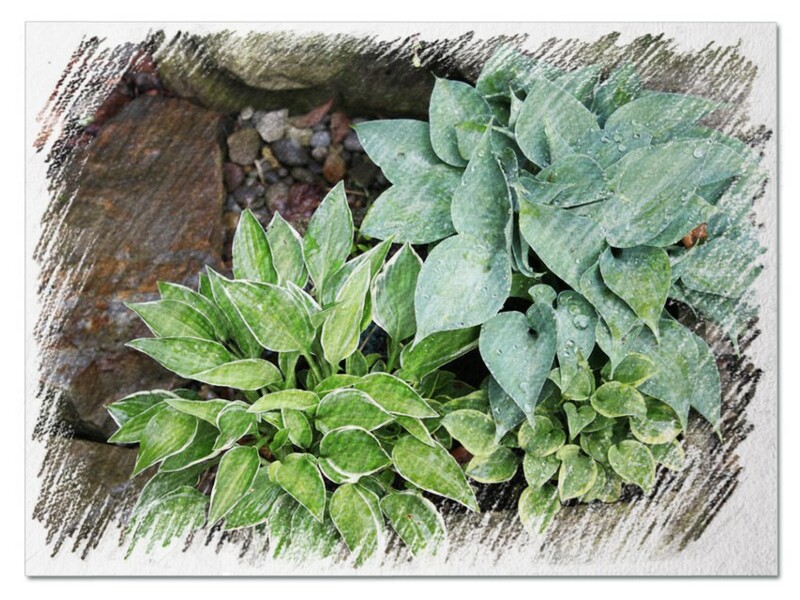 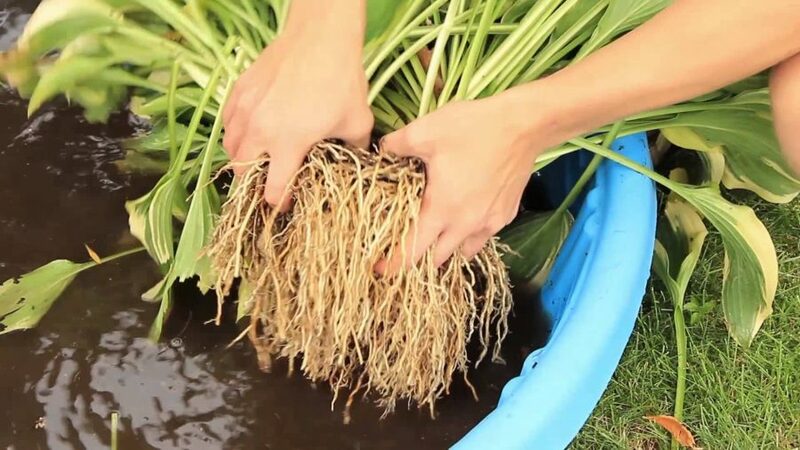 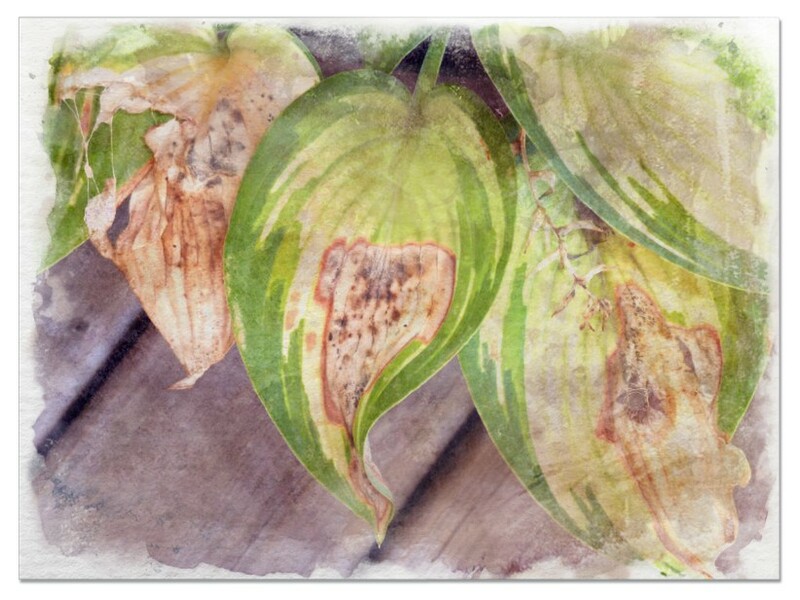 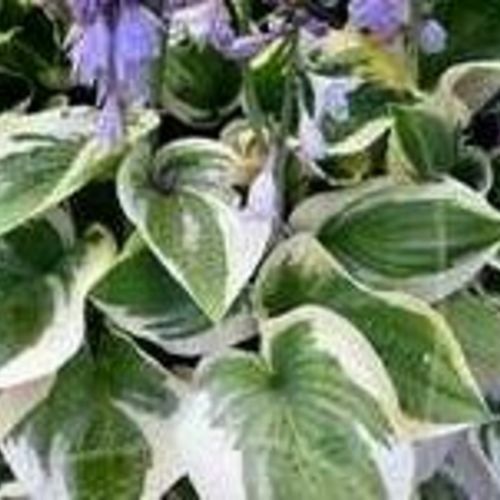 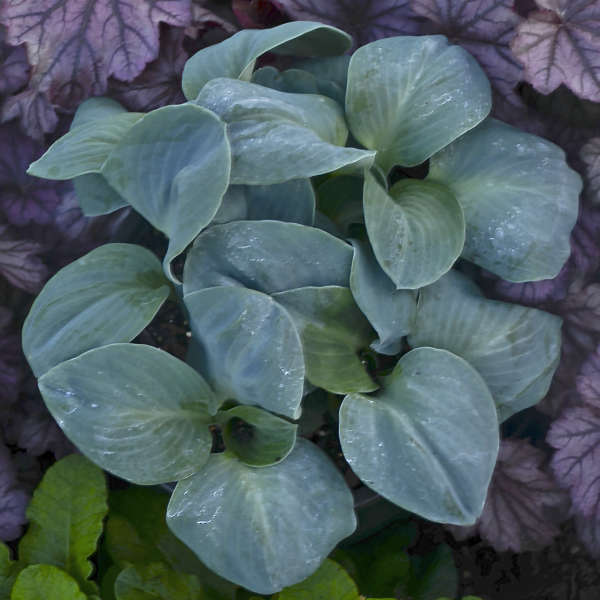 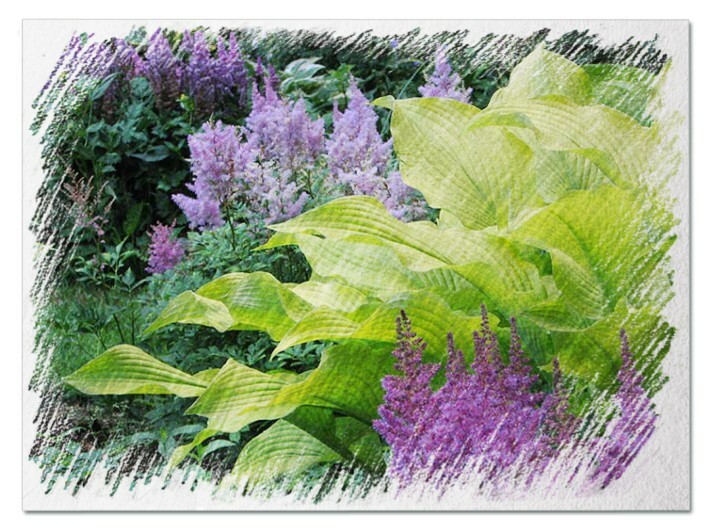 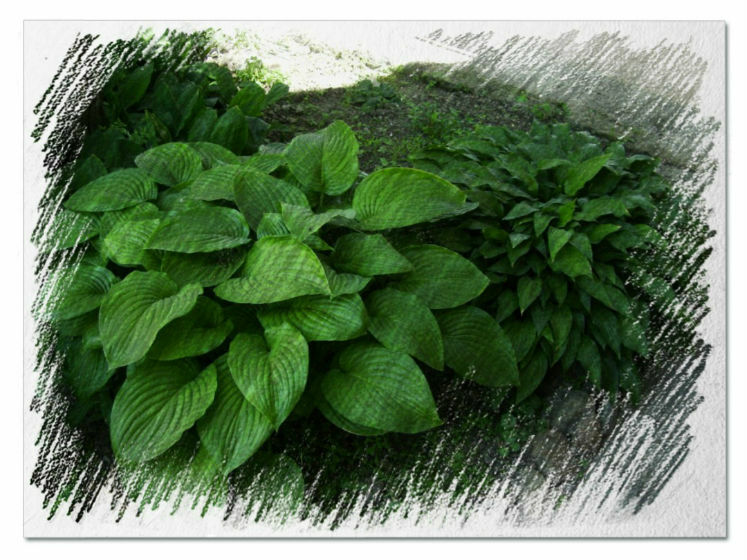 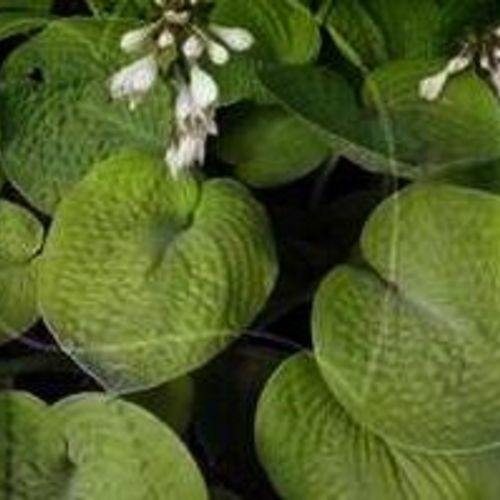 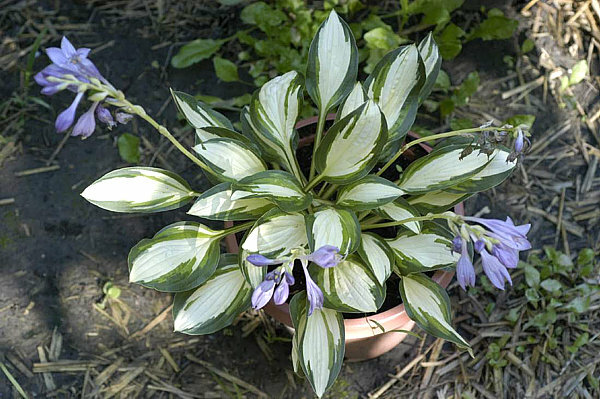 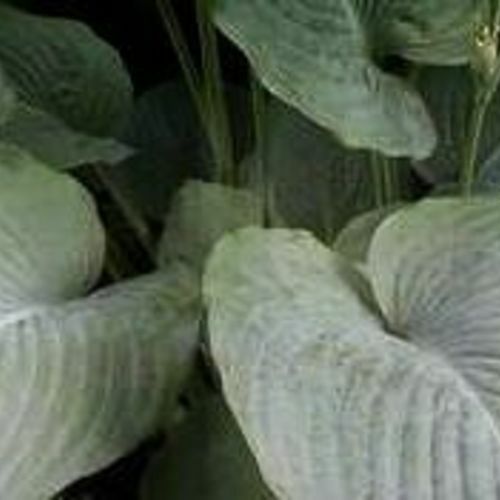 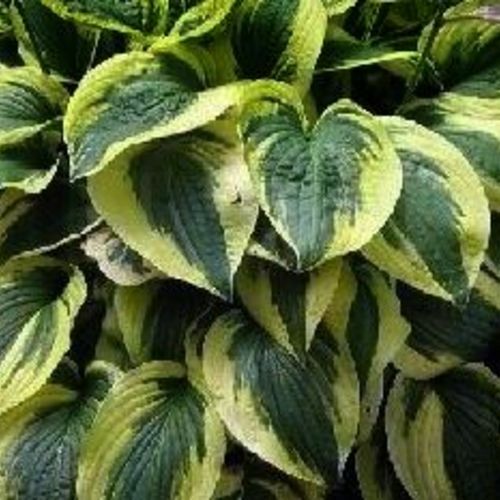 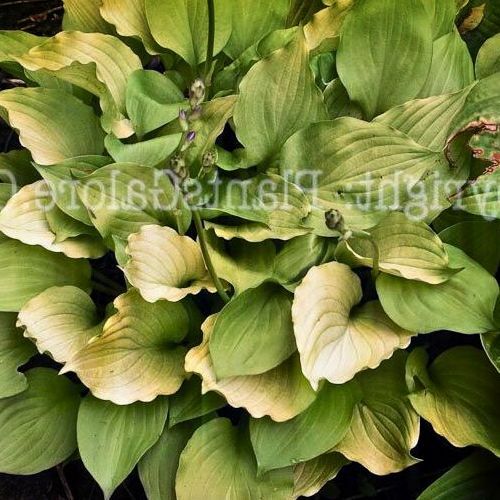 Hosta "Inniswood" review, information and description. 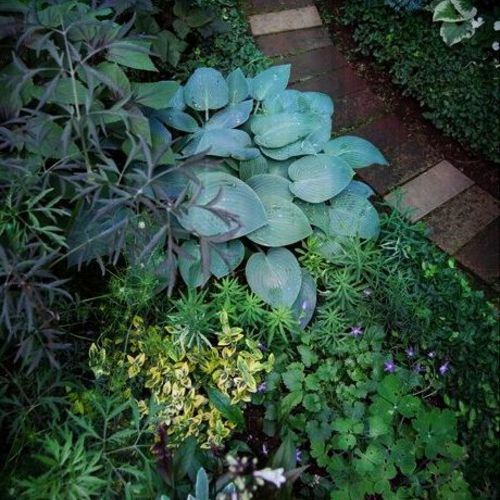 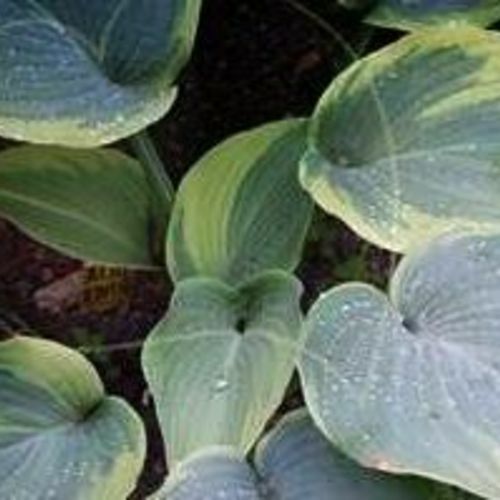 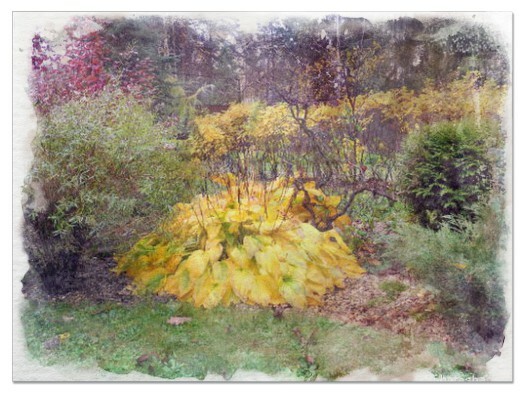 A sport of ‘Sun Glow’ Inniswood has large, heart shaped gold leaves with dark green margins that seem to glow in the shade garden. 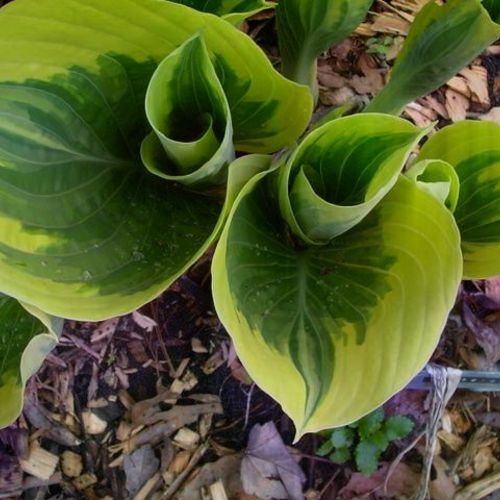 The leaves become heavily puckered with age and exhibit great substance. 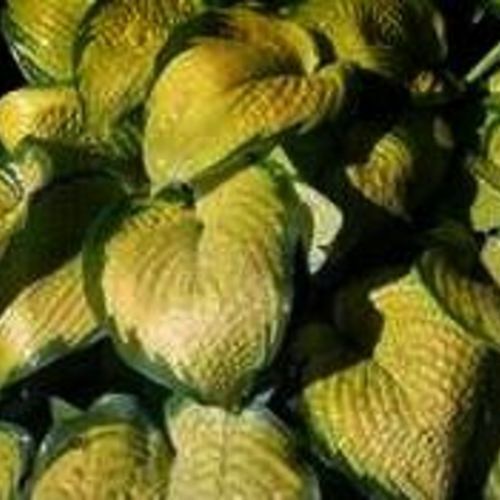 A very nice medium size variety reaching 22 inches in height with a 40 inch spread at maturity. 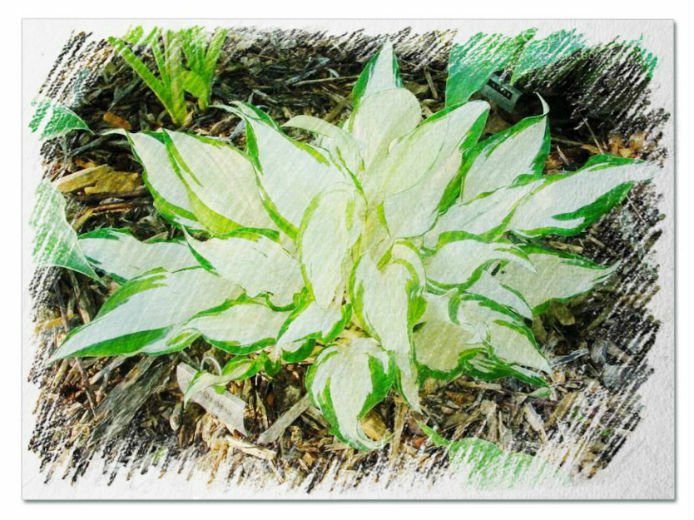 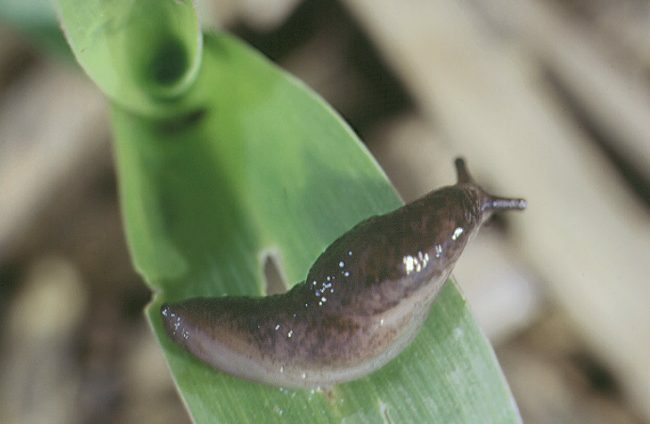 One our favorite hostas. 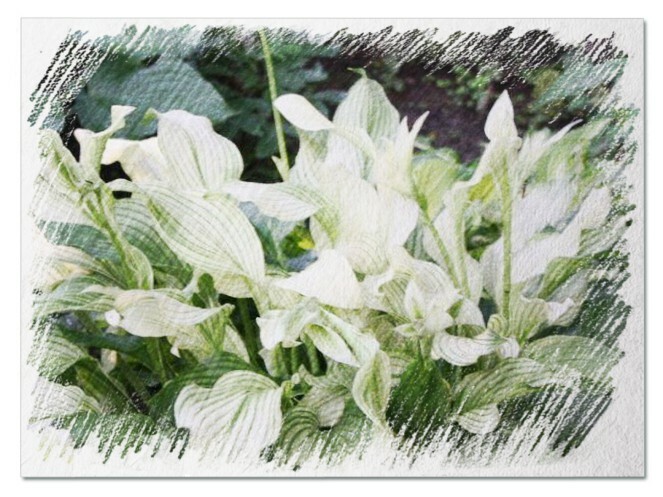 Progeny 'Kris Krinkle' seedling 'Ovalwood' = PP x "seedling #OP97"